Bangalore: India’s biggest dredging contractor, Dredging Corp. of India Ltd, or DCI, has lost safety certificates for four of its ships after the state-run firm failed to carry out statutory surveys. Dredgers are used to deepen and maintain the channels of ports and harbours. “The impact of this is multi-fold," said P.P. Govindachary, a joint general manager (finance) at the Vizag-based DCI. “We will not earn any money from these dredgers during the period they are out of service, besides we will have to spend money on dry-docking." He would not estimate the extent of the potential revenue loss. DCI’s revenue in the September quarter fell to ₹ 119.4 crore from ₹ 128.7 crore a year earlier. Net profit, though, improved to ₹ 9.8 crore from ₹ 2.89 crore. Statutory surveys are done twice every five years to ensure that ships are maintained as per the requirements of the International Maritime Organization, or IMO, the global maritime regulator. IRS is a member of the International Association of Classification Societies, or IACS, a global body that verifies ships for sea-worthiness. Classification societies have developed rules and regulations that set standards for the design, construction and maintenance of ships. These societies are authorized to act on behalf of various maritime administrations including India to verify that ships comply with various IMO codes on sea and cargo worthiness. Ships that are not classed or certified by any of the 11 members of IACS are not allowed to take to the sea. “If a fleet owner does not carry out the mandatory statutory survey of a ship within a certain period, he is given an extension of three months to do so. Failure would lead to suspension of the class certificate given to the ship," said Arun Sharma, managing director and chairman-designate of IRS. DCI was unable to comply with the schedule for statutory surveys due to client requirements and non-availability of dry dock berths in India for repairing ships, another company executive said on condition of anonymity. 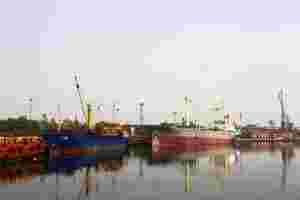 For instance, Haldia Dock, where five of DCI’s dredgers are deployed throughout the year to maintain the navigational channel, was reluctant to release the ships for dry-docking to prevent siltation of the channel. Earlier, DCI used to get most of its dredgers dry-docked at Colombo Dockyard Plc. in Sri Lanka. But in 2010, the board of DCI decided to issue only local tenders. But dry-docking dredgers in India had its problems. Apart from a shortage of dry dock berths, firms taking up dry-docking work were not able to finish the job on time, the DCI executive said. “As a result, we were forced to seek repeated extensions from India’s director general of shipping for carrying out the mandatory dry-docking/statutory surveys," he said. “We have now sent these ships for dry docking to complete the survey, revalidate the certificates and re-instate the class." The process typically takes one-four months, depending on the repairs needed. Six DCI dredgers are dry-docked for repairs/statutory surveys, he added. The firm runs a fleet of 13 dredgers of various capacities. DCI, meanwhile, was disqualified by Jawaharlal Nehru port to participate in a tender for deepening the port’s channel, a contract estimated to cost ₹ 1,571 crore, because the firm lacked the requisite rock-cutting experience, the executive said.